If you are traveling with your pets and want to visit the battlefield be aware that the park is not dog friendly. 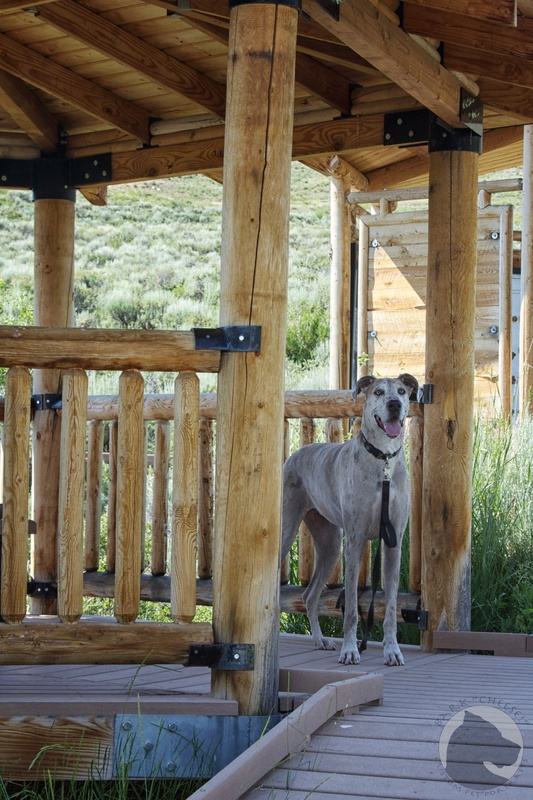 There are 2 short trails which originate in the park but dogs are not allowed on them or in the visitor center. 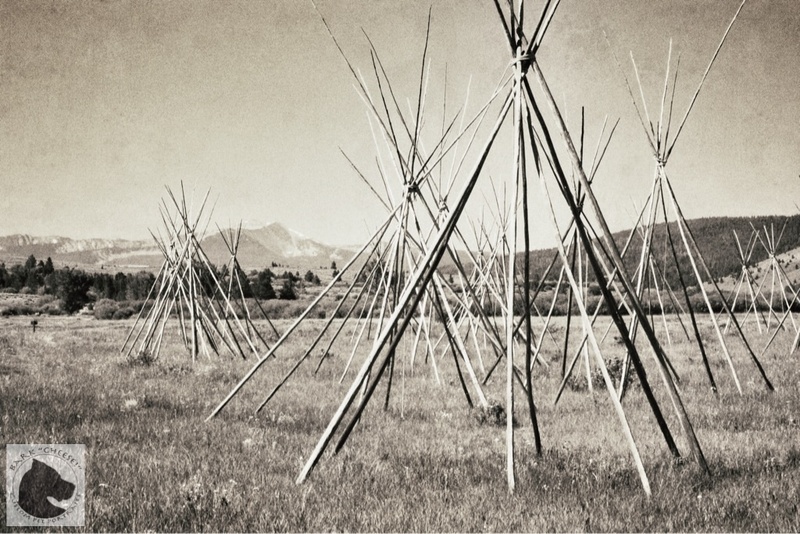 There are no campgrounds in the park but there are some located less than 10 miles away. 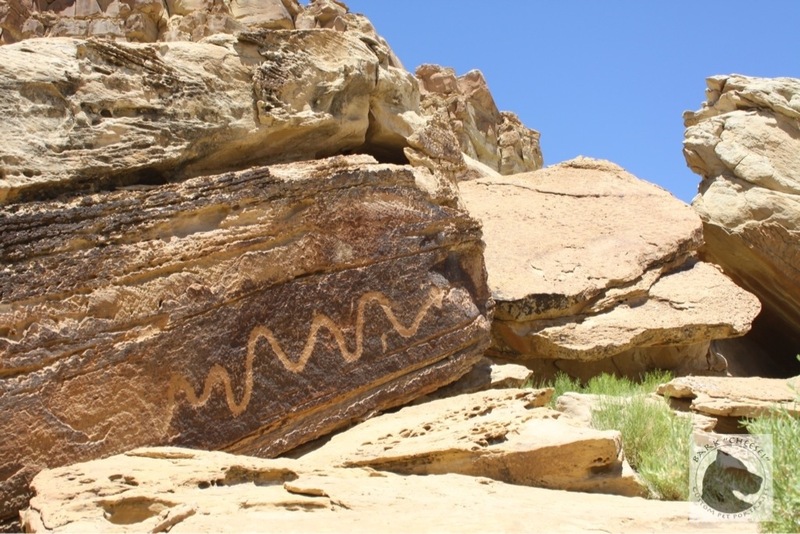 If you find yourself in southwestern Wyoming and need a place to walk your dog or have a picnic, Fossil Butte National Monument is the place. 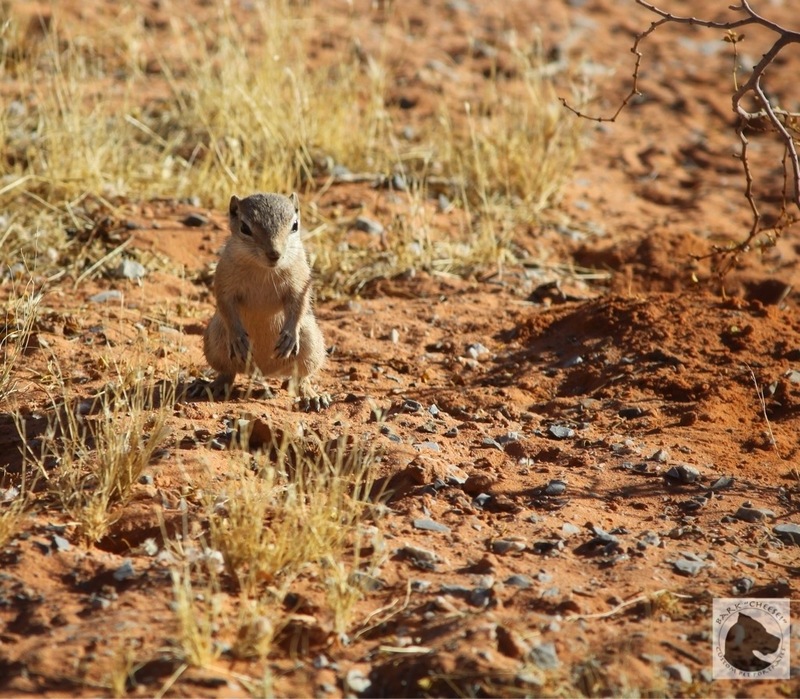 It is a quiet, pet friendly park with 2 trails and 3 dirt-track roads which can also be hiked on with your pets. There is a picnic area at the start of the Chicken Creek trail with BBQ grills, shade trees and a covered table at the end of a short boardwalk. The visitor center has over 300 fossils on display but pets have to stay outside. Summer temperatures can be extremely hot so take lots of water for you and your pet and don’t forget their feet get hot too. I have previously written about a number of pet friendly National Parks and Monuments but unfortunately many of them are not as friendly. 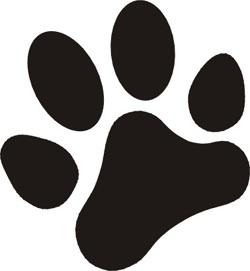 Many of the parks get what I call a 1 paw rating, . This means that dogs are allowed in the park but only in paved areas, campgrounds and on roads and there are no pet friendly trails. I’m not saying these parks aren’t worth visiting because they are but you need to be aware that you may not be able to see as much of the park as you would like to. Traveling with a hard-sided camping trailer or RV gives you the flexibility to leave your pet for short lengths of time and still enjoy the park. 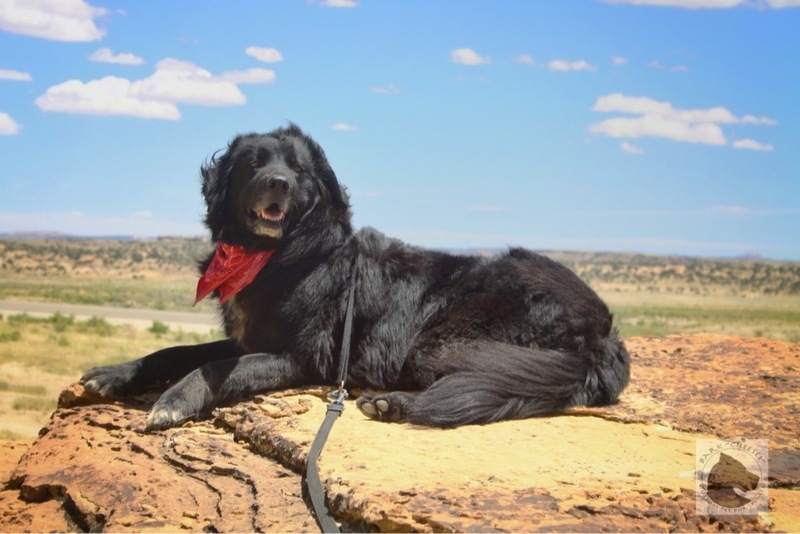 Many of the parks also have nearby National Forest or State parks which are pet friendly allowing your pets to enjoy some hiking or other activities with you. 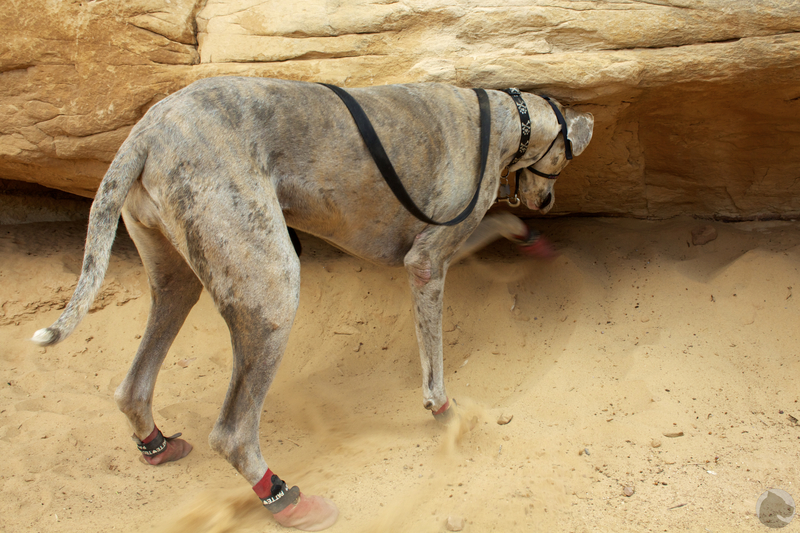 Dog boots don’t stop K’Ehleyr from her favorite activity, digging. For those of you who travel and especially hike with your dog(s), you might want to consider having some booties available. I’m not talking about the cute little tennis shoes and they don’t need to be fancy all terrain boots. The boots K’Ehleyr is wearing are a simple vinyl sock with a felt interior and velcro strap. We all know how hot an Arizona parking lot in summer can get but just try convincing a stubborn Dane that she needs to walk faster when she doesn’t want to. She didn’t notice the heat and it took over a day for the blisters to show up but once they did she couldn’t walk without the boots protecting her paws as well as keeping them clean and covered in wound balm. I always keep them in my pet’s first-aid kit, you might want to add them to yours. 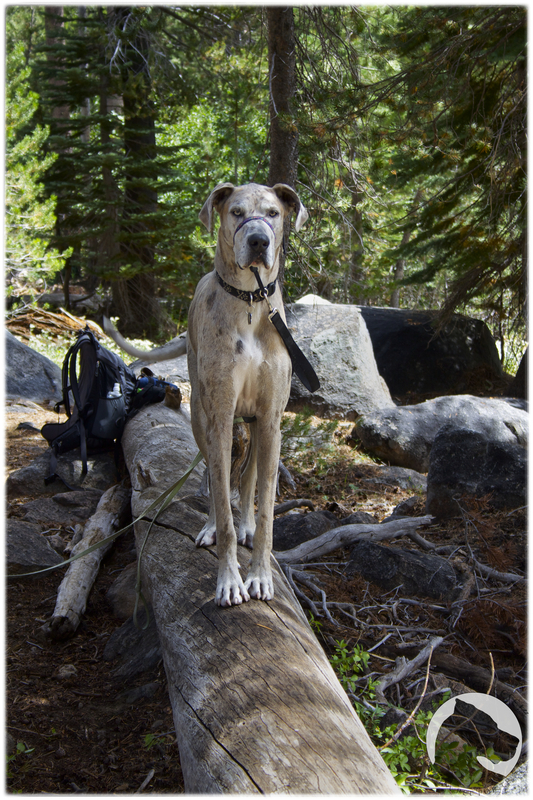 Something to consider when hiking with your dog is the need to carry twice as much water. A couple of years ago we invested in a hydration pack for our dogs for two reasons. The first reason was to have them carry their own water and the second was to help train K’Ehleyr by giving her a job to do and maybe some extra weight to slow her down. 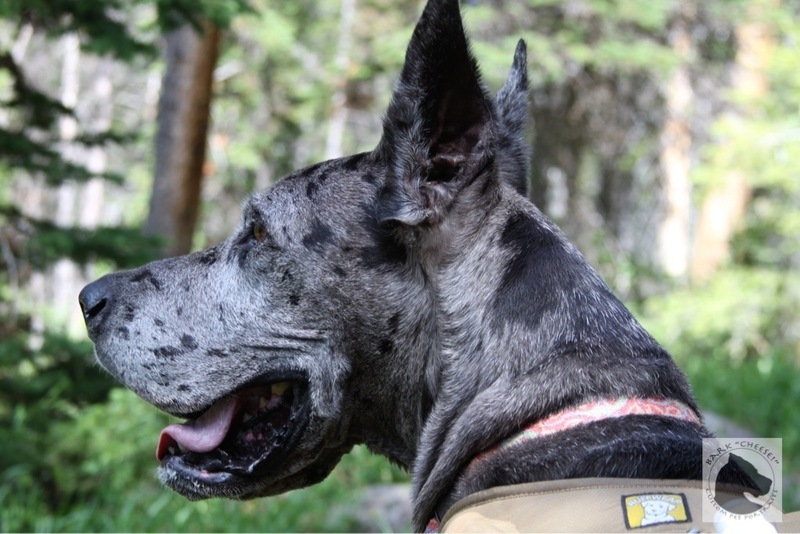 Our trainers initially used dive weights in the pack but we learned that it takes more than 10 extra pounds to slow down a rambunctious 100 pound Dane. She also didn’t seem to acquire a sense of responsibility by being given a job but at least someone else was helping to carry the water. The Ruff Wear hydration pack came with 2, half liter bottles, one for each side. There is also an extra pocket on each side for bags or treats. Construction of the pack is well done but the extra-large just barely fit and by the next summer, after K’Ehleyr finished growing to 120 lbs., the middle strap was about 3 inches too short so now Varel who is 20 lbs. smaller gets to carry the water. The amount of water is not much for 2 Great Danes so we usual hook an extra bottle to it, there is also a handle on the top of the pack to help out when the trail gets too tough. If you are looking for a dog pack I would suggest reading the reviews and remember you usually get what you pay for. 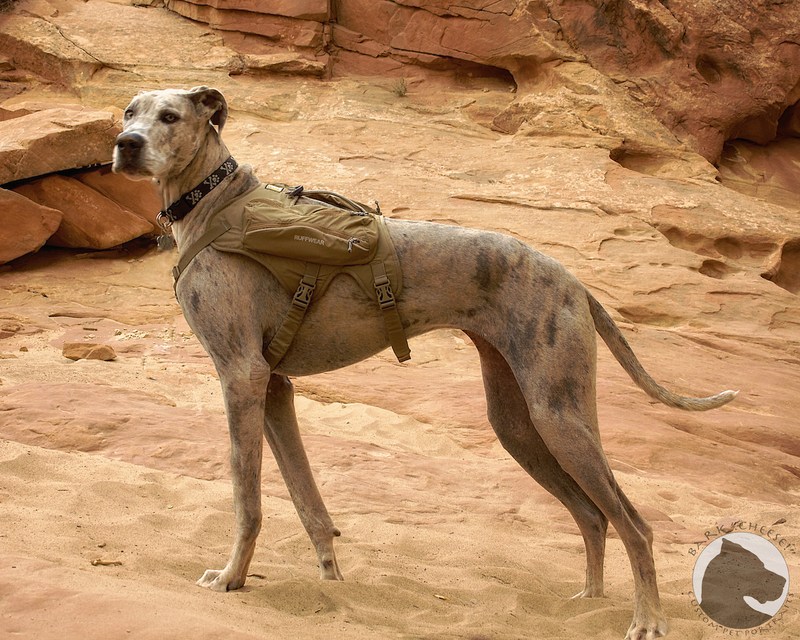 Just like with humans, you want the pack to be comfortable and durable. They also come with a variety of options depending on what your needs are. If you plan on doing all day or longer hikes you might want to look into a multi-purpose pack to carry more than just water. I can’t compare this to other packs because I only have experience with this one but so far so good, except the size issues. 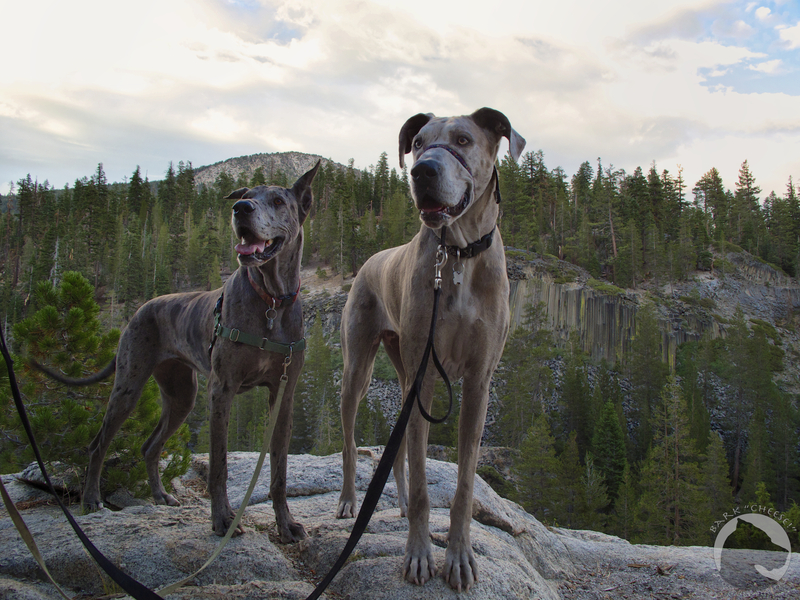 Summer is coming up and so is the time when Bark “Cheese!” hits the road with our 2 Great Danes, Varel and K’Ehleyr. Traveling with dogs can require a few extra items including food, pet first aid items, beds, blankets, and some more exotic things like booties and dog packs. One of the new items I bought was a ROK strap to replace Varel’s leash after K’Ehleyr chewed through it in 3 places. The key feature of this leash is it stretches! No more jolts as your dog decides to jump after something. Of course the best solution is training your dog to not pull but with some dogs a rabbit is just too much to pass up without at least one attempt at it and a 100lb. Dane can give a good pull. The leash works great at what it is designed to do, a controlled stretch. A few complaints are that it only comes in 54 inch lengths which is a bit short when you have a dog as big as a Dane and don’t want to step on her heels when walking on a single wide trail and that the handle is also a little hard to hold since it is not flexible and rather thick, I struggle to find a comfortable grip on it. They come in 3 different thicknesses to match your dog’s weight and a large variety of colors and patterns. You can buy them on their website, http://www.rokdog.net, or at various pet boutiques. 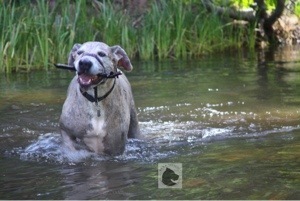 If you have a dog that pulls you might want to check it out and save your shoulders some wear and tear. 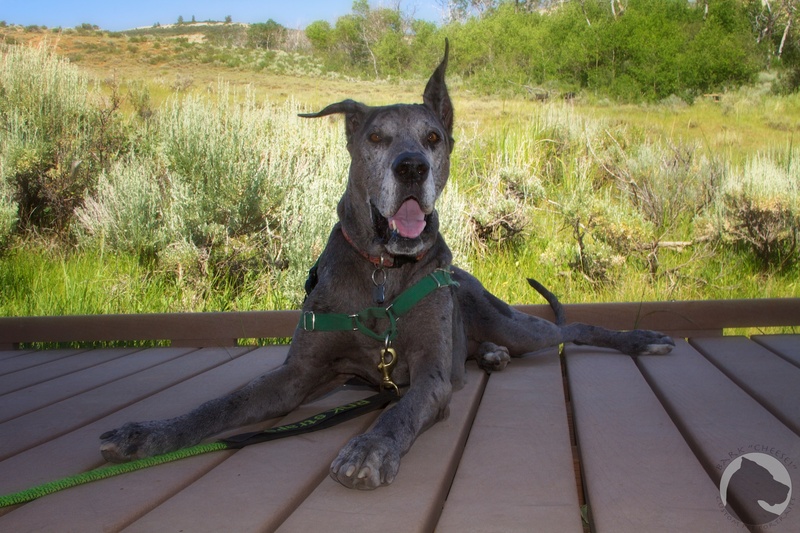 Disclaimer – This review is simply my experience with the leash on one of my Danes. I have no affiliation with the makers of this leash. 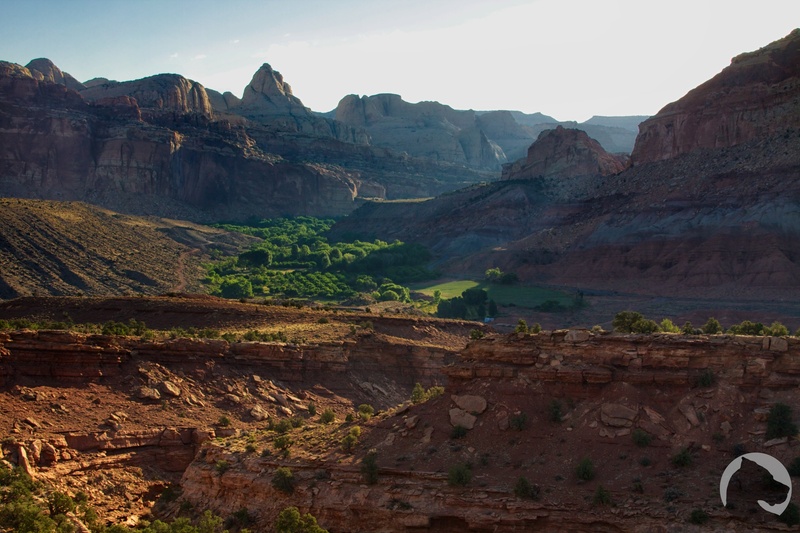 Today is the last day to take advantage of free admission to our parks. Don’t forget that many parks do allow pets and some have trails specifically open for them. 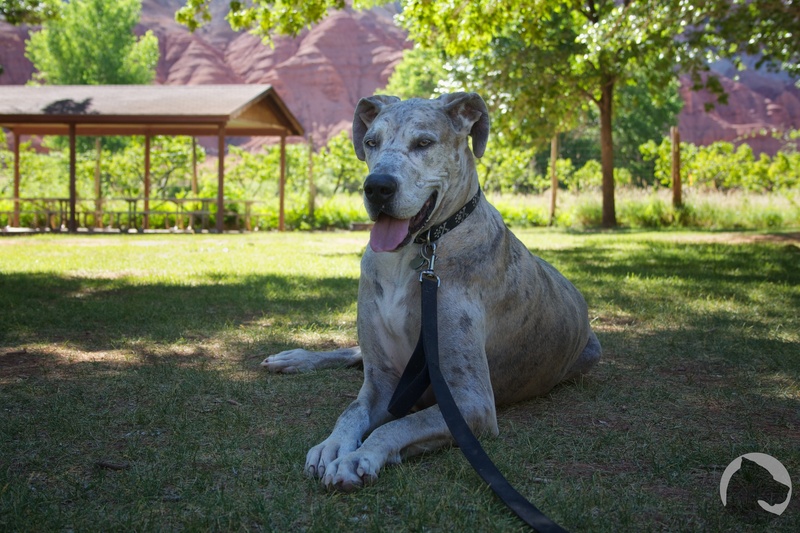 The top 4 pet friendly parks I’ve visited can be seen in this ebook. If you have any trouble with the link or download let me know, there is an opt-in form to get access to the PDF.